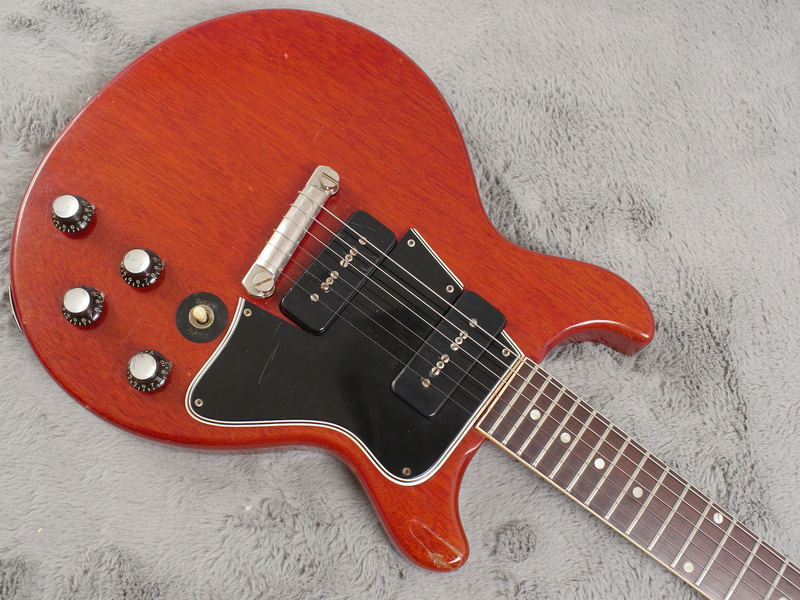 No holds barred rock n roll machine for those looking for a double the P90 fun, this 1960 Gibson Les Paul Special will not disappoint. 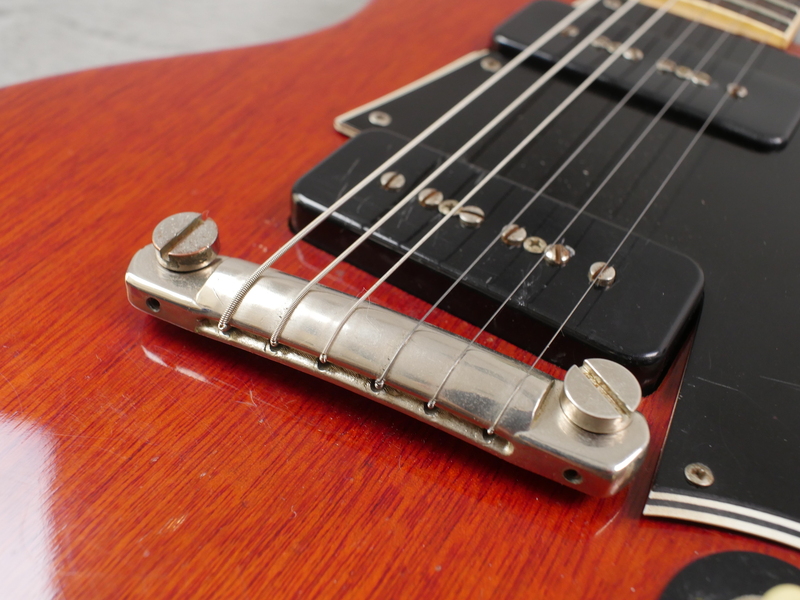 Designed as an interim step between the Junior and Standard models, the Special is a little more sophisctaited than its brother featuring a bound neck and the additional pickup and controls. 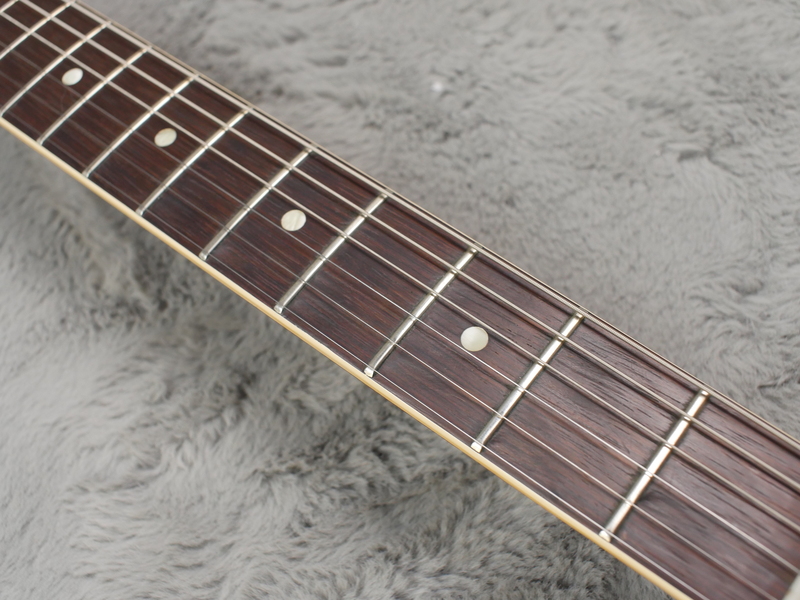 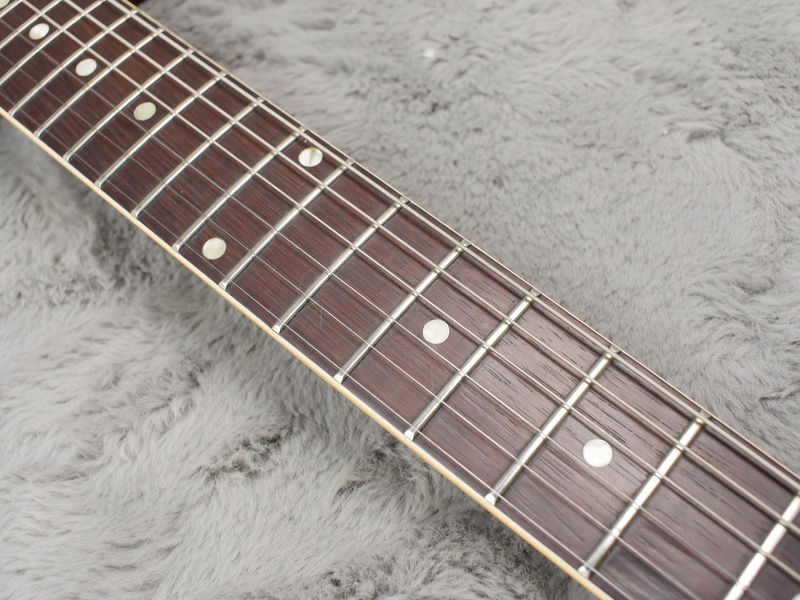 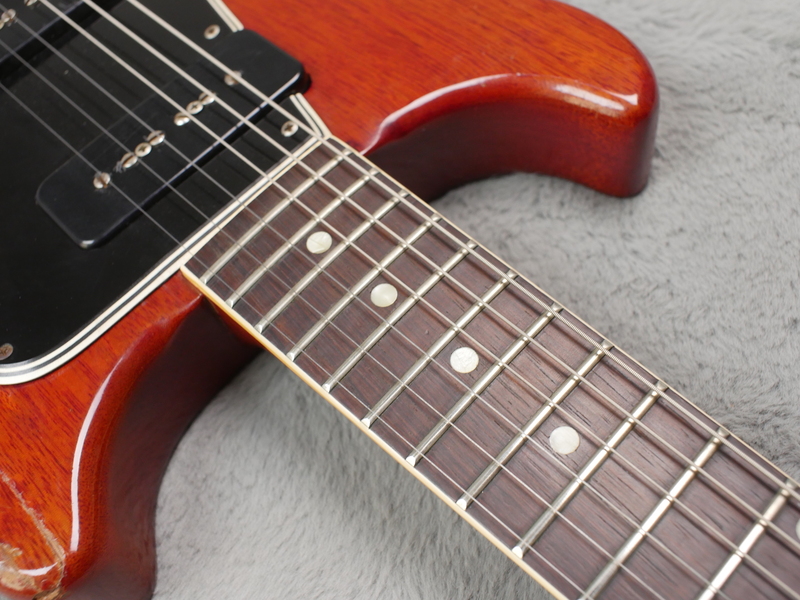 The advance of Fender during the later part of the 1950s and the popularity of the Stratocaster must have influenced the design with Gibson turning away from the more traditional shape 1958 in favour of the double cut and later SG shape. 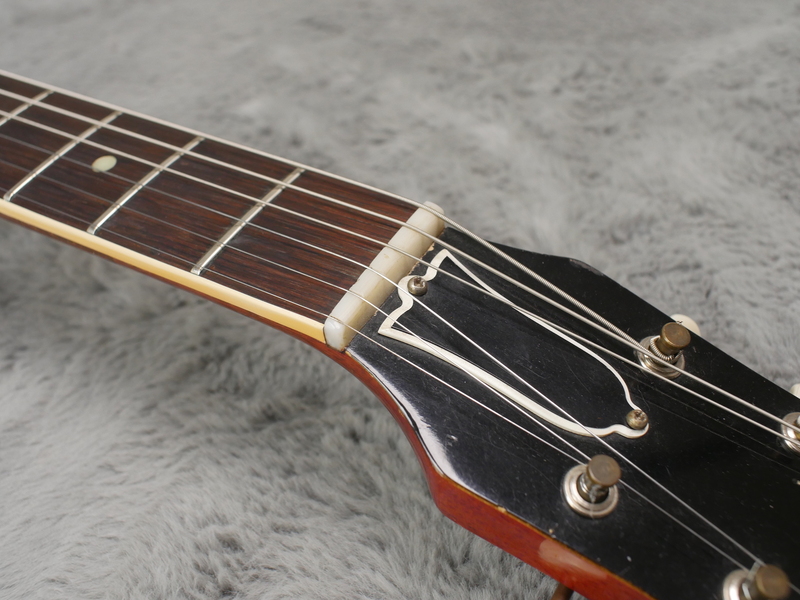 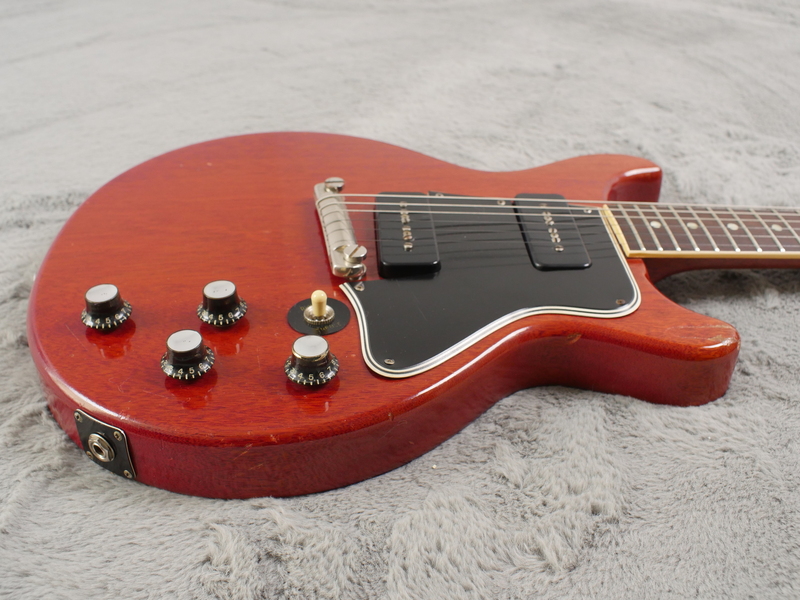 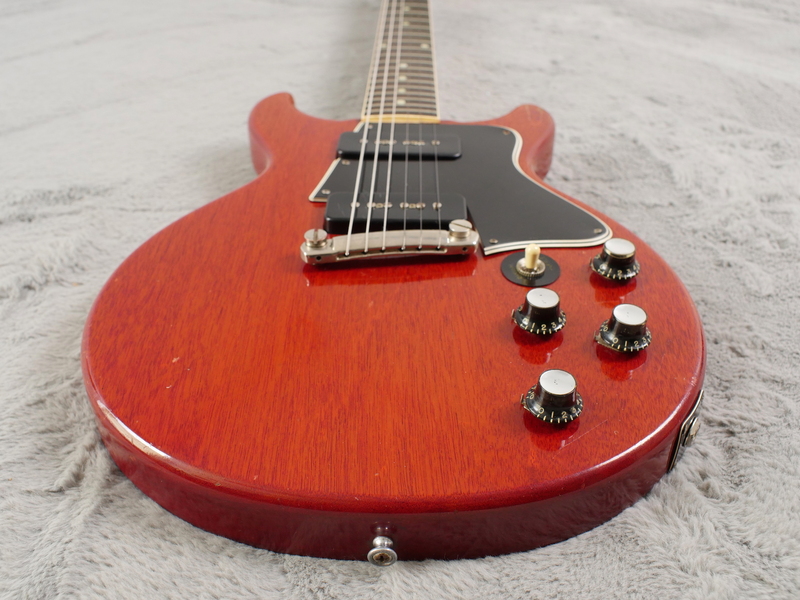 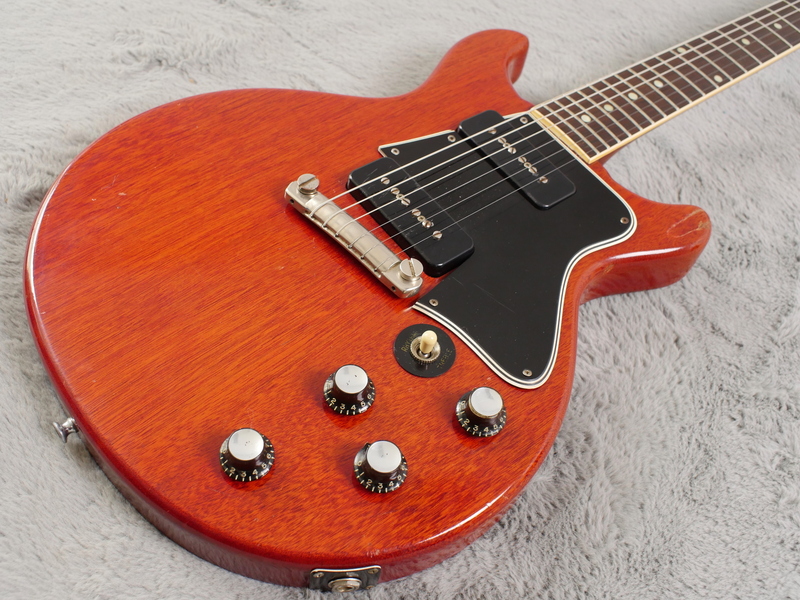 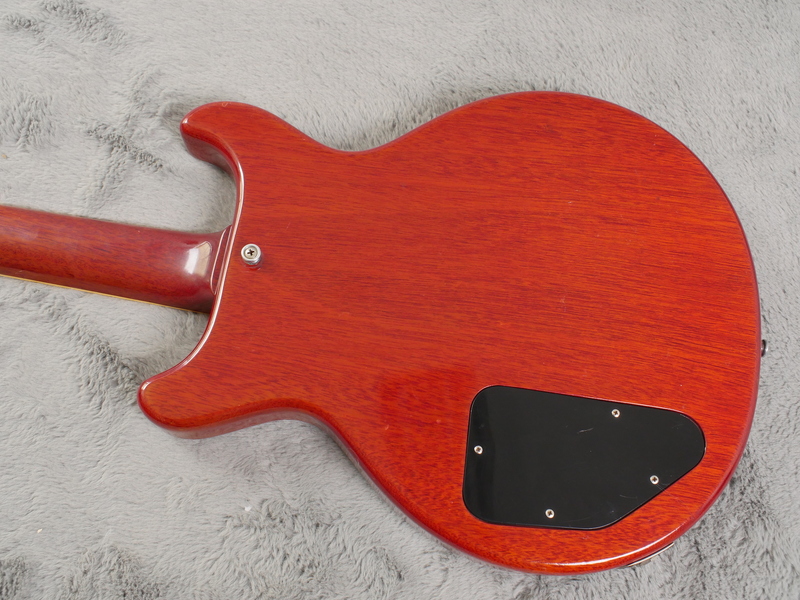 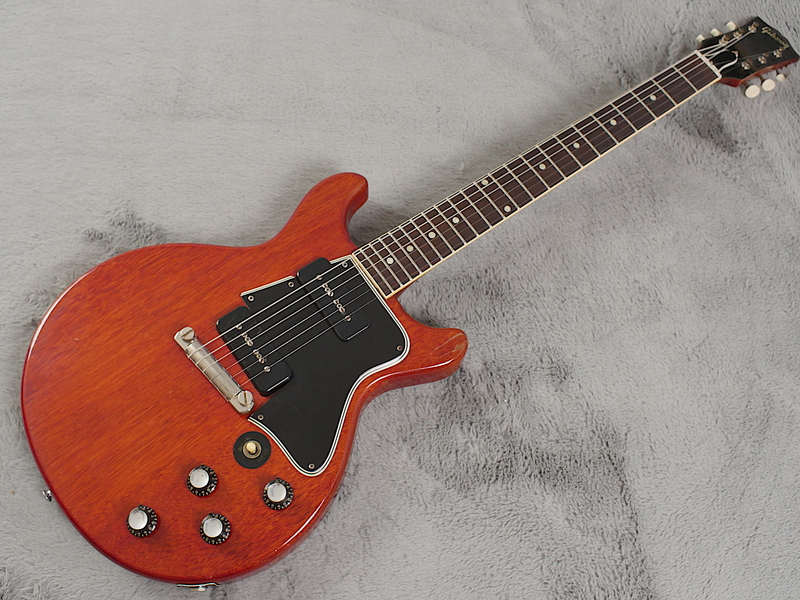 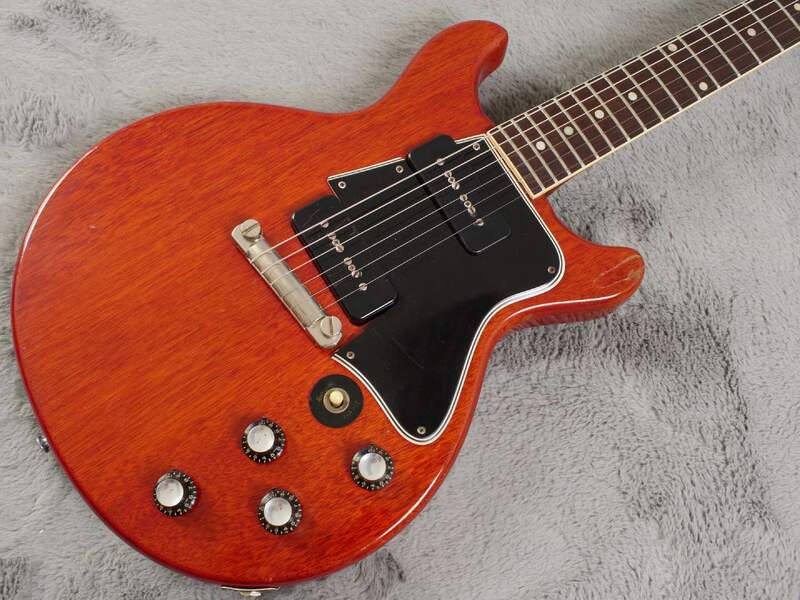 As some of you may be fully aware, the first few Specials produced between 1958 and the middle of 1959 with this new body shape did suffer with weak neck joints due to the proximity of the neck pickup to the base of the neck. 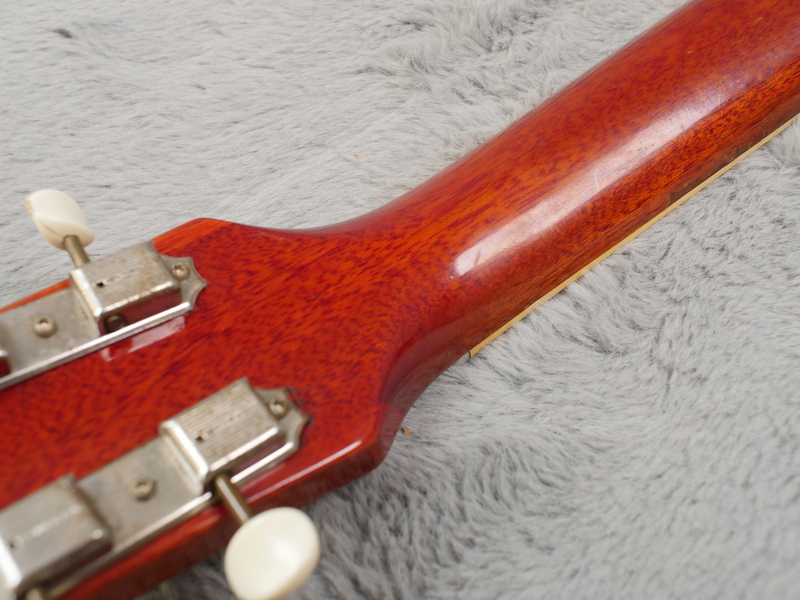 This was rectified and the results can be seen here with our 1960 example. 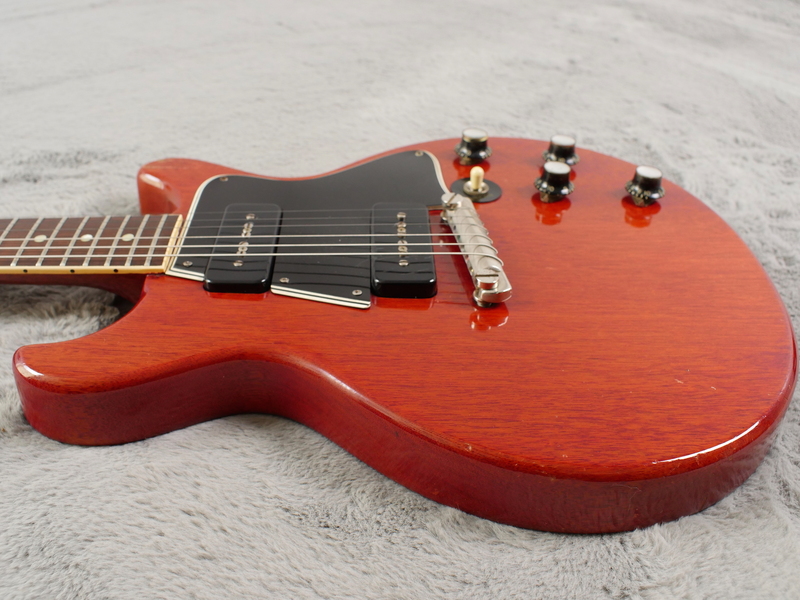 The guitar itself is stunning. 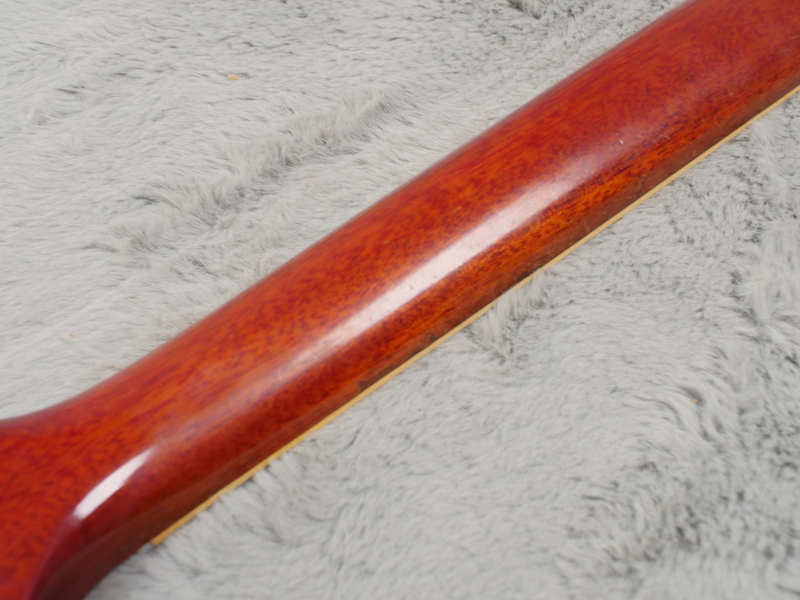 The top has faded little, which is often the case with the cherry finish but what remains is a stunning shaded that really emphasises the wonderful grain of the wood. 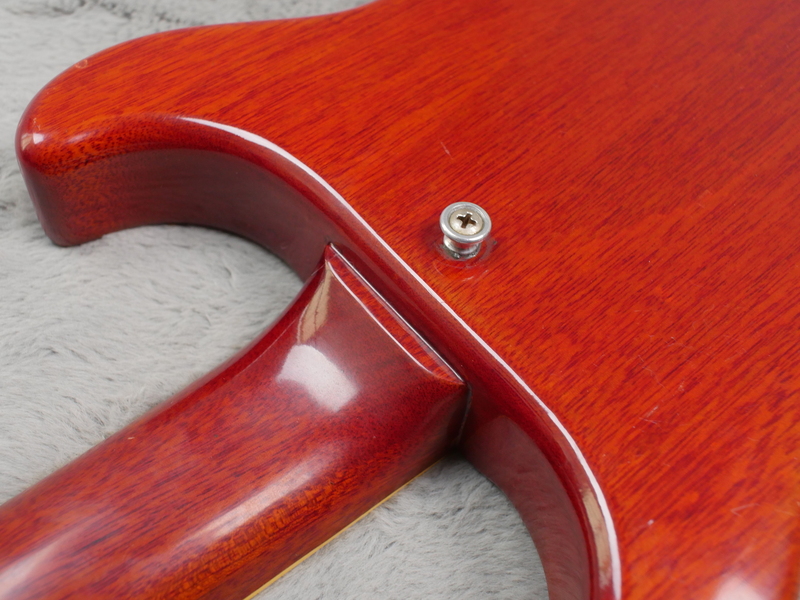 There are only a few very minor dinks on the back and aside from the patch of repaired damage to the lower horn, the front only shows a few very slight bumps. 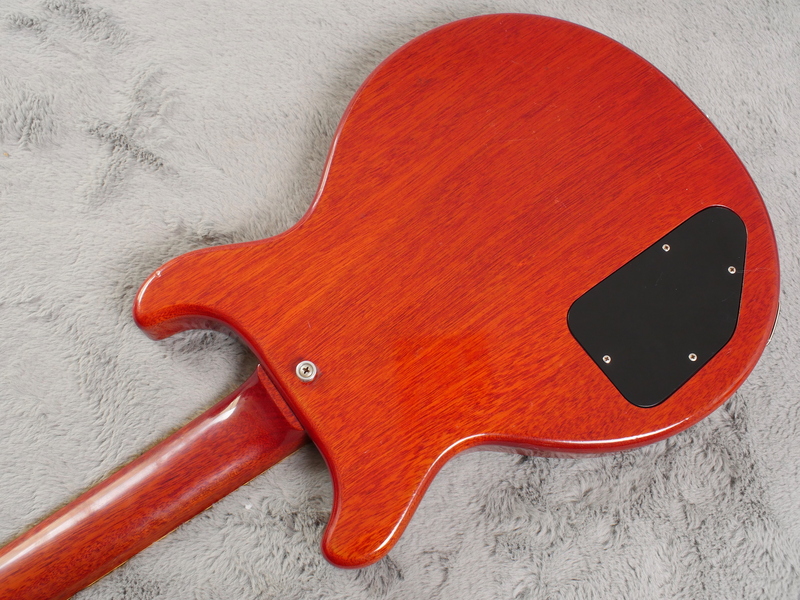 The neck too is superb. 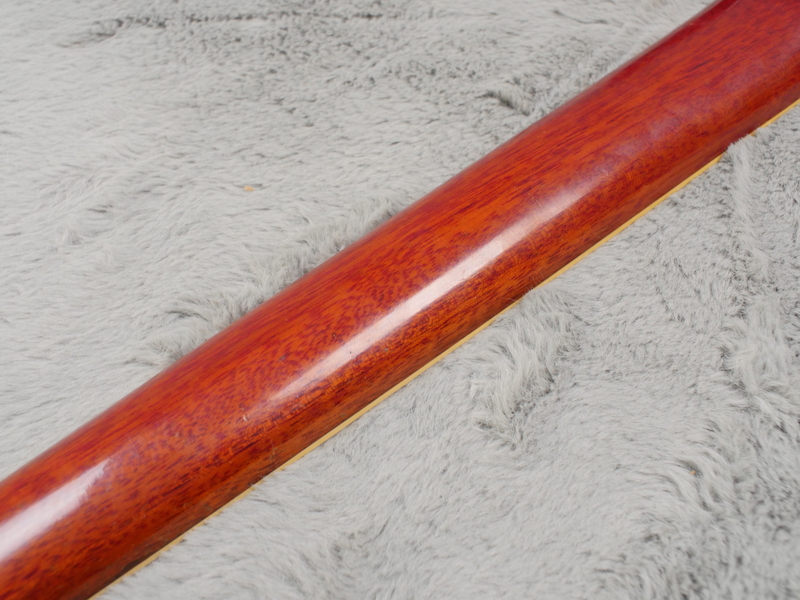 Here the colour has faded a little more but the more golden colour again really accentuates the grain of the mahogany. 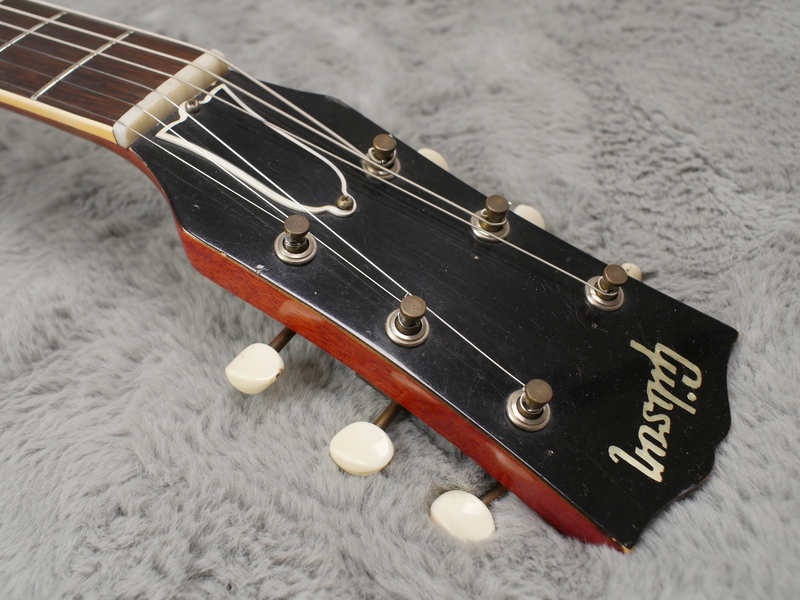 The headstock to shows only slight signs of damage but keeps the sharp edges of that most iconic of shapes. 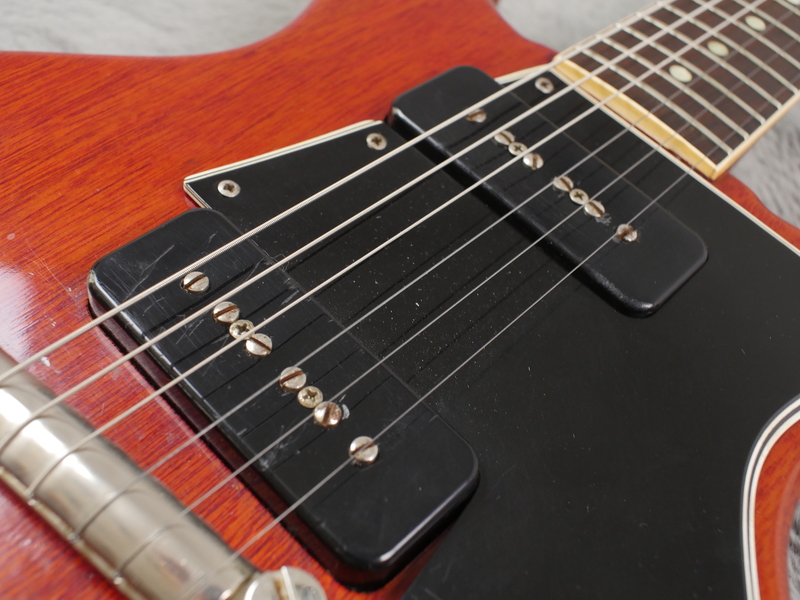 The hardware here is all correct and in good working order. 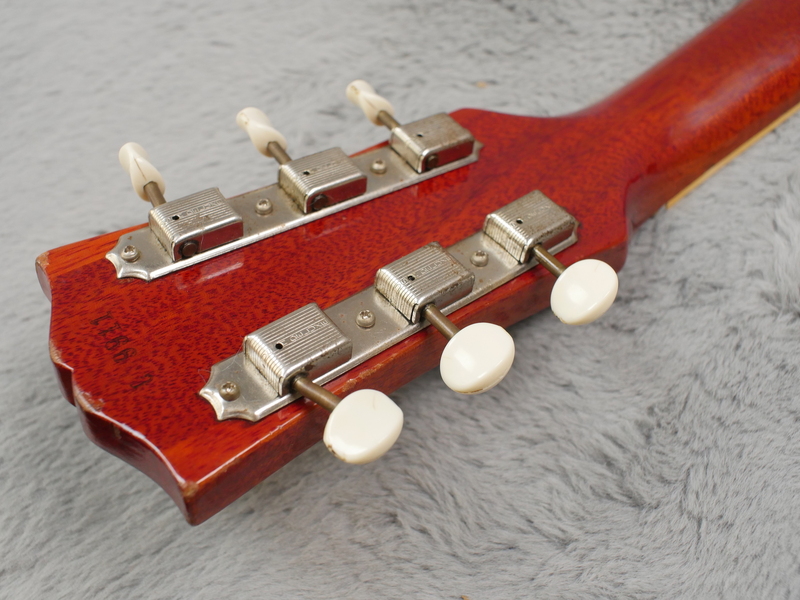 The tailpiece is free of any major wear, the knobs and plastics are in good shape for their age with only minor warping to the pickguard. 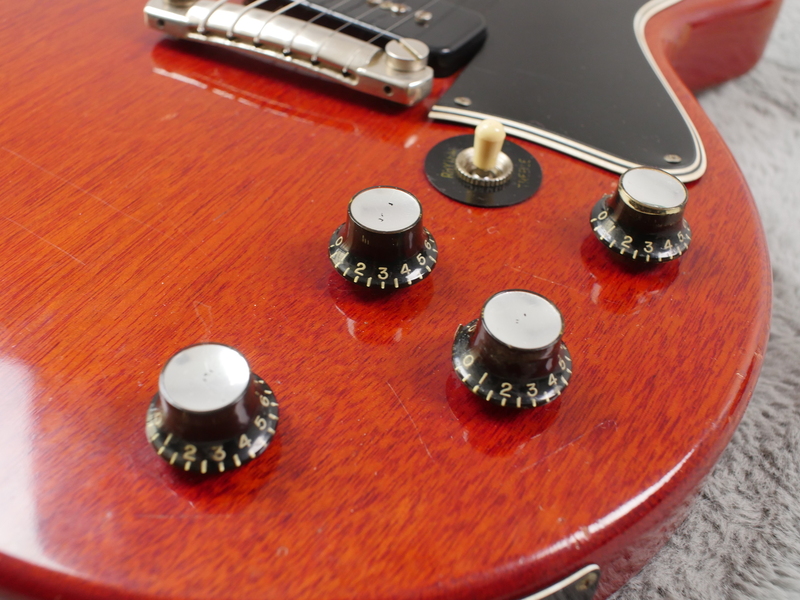 The electronics are all correct and there is no sign that the solder has been disturbed.